Gilman Law LLP, a leading national law firm with over 40 years of experience protecting the rights of victims, is now accepting claims for lawsuits involving injuries stemming from defective Boston Scientific transvaginal mesh and pelvic sling devices. If you’ve suffered erosion and extrusion of surgical mesh, perforation of organs, vaginal bleeding, chronic infection, pain and emotional distress following the transvaginal placement of a Boston Scientific surgical mesh device or pelvic sling, you may be eligible to file your own transvaginal mesh lawsuit. Recently, lawsuits involving Boston Scientific surgical mesh products used in POP repair, including its Pinnacle and Uphold lines, were consolidated in Massachusetts state court as a Special Judicial Assignment. As these and other Boston Scientific vaginal mesh and pelvic sling products face further review by the U.S. Food & Drug Administration (FDA), it is expected that the litigation surrounding the devices will grow and expand to other states. 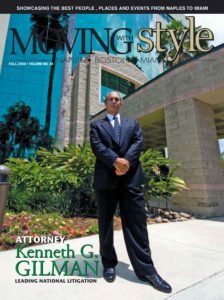 If you or someone you love suffered painful and debilitating complications from a Boston Scientific transvaginal surgical mesh or pelvic sling device, it is important that you contact Gilman Law today to discuss your potential Boston Scientific transvaginal mesh or pelvic sling lawsuit. Pinnacle Pelvic Floor Repair Kits: Used to treat pelvic organ prolapse (POP) and stress urinary incontinence (SUI). Uphold Vaginal Support system: Used to treat pelvic organ prolapse (POP). Advantage Fit Sling System: Used to treat stress urinary incontinence (SUI). Obtryx Sling System: Used to treat stress urinary incontinence (SUI). Prefyx Sling System: Used to treat stress urinary incontinence (SUI). Solyx SIS System: Used to treat stress urinary incontinence (SUI). Lynx Sling System: Used to treat stress urinary incontinence (SUI). An estimated 75,000 women undergo surgical procedures to repair POP and SUI with surgical mesh implants every year. After receiving hundreds of reports of serious complications, the Food & Drug Administration (FDA) began a safety review of transvaginal mesh devices in October 2013. On July 13, 2011, the FDA announced that from Jan. 1, 2008 to Dec. 31, 2010, it had received 2,874 reports of vaginal mesh implants complication, including 1,503 reports associated with transvaginal mesh used for POP repair. The remaining occurred when surgical mesh was used to repair SUI. In its July alert, the FDA warned that serious vaginal mesh complications following POP repair are not rare. The agency’s review of medical studies indicated that about 10 percent of women who had surgical mesh transvaginally implanted for POP repair experienced erosion within 12 months. The FDA also said it was “not clear that transvaginal POP repair with mesh is any more effective than traditional [transvaginal surgery without mesh] … and may expose patients to greater risk. Women who experience Boston Scientific transvaginal mesh complications usually must undergo at least one additional surgical procedure – if not several – to try to remove the mesh. Unfortunately, even after repeated excision procedures, many women will not experience complete relief of their symptoms. The FDA is now considering reclassifying transvaginal mesh devices used in the repair of POP from a Class 2 (moderate risk) to a Class 3 (high risk) medical device. The high-risk classification would require that the devices be subjected to human clinical trials in order to gain FDA approval for use in POP repair. In August 2011, Boston Scientific issued a Class 2 recall for about 540 Pinnacle Pelvic Floor Repair Kits. According to the recall notice, manufacturing problems had resulted in some products exhibiting a low tensile strength between the needle and suture. This could cause needle detachment during mesh leg placement. If you or someone you know suffered an injury due to a Boston Scientific transvaginal mesh or pelvic sling device, Gilman Law is here to help. 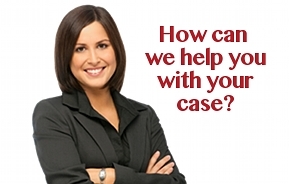 For a free evaluation of your case, please fill out the online form on the left or call Toll Free at 1-888-252-0048.